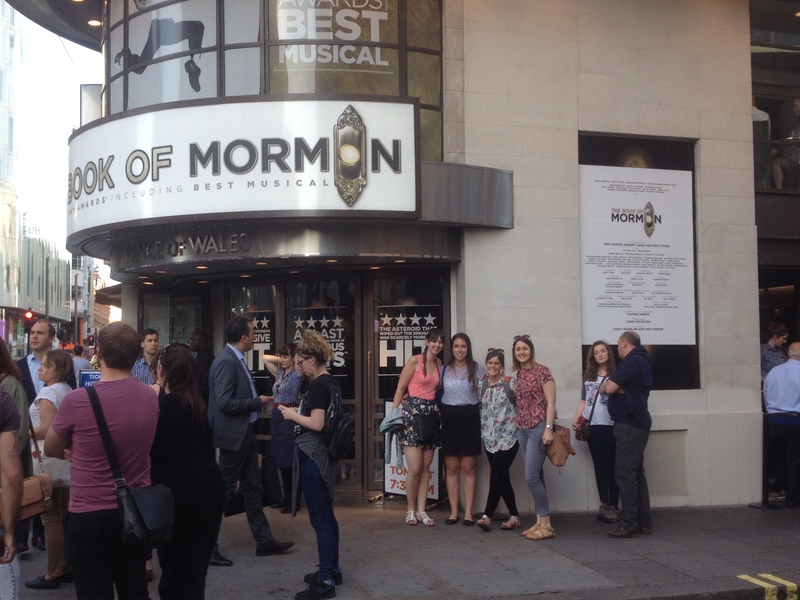 I had been wanting to see The Book of Mormon since it opened in London 2 years ago, so when thinking about what things I wanted to show my friends while they were here, I knew I had to put it forward. They both looked at the press blurb and wrote back something like ‘That sounds so random! But I’m keen’. Yay! I booked the tickets and started getting excited. Unfortunately, we happened to book on a tube strike day… It was mayhem in the city, when Londoners all forced to be above ground it really makes you realise how many people there are in the city. After sitting on a bus that took about half an hour to get from Liverpool street to St Paul’s we decided we would have to abandon it and walk the rest. The photo above is taken 5 minutes before the show started, we had just finished scoffing down Pret sandwiches and hoping another friend coming in from a day at Wimbledon would make it in time. It was worth the extra effort though, this show had laughing right from the start. You really cannot have any expectations going into this, because any you do will be swiftly put in their place. The comedy constantly manages to subvert your expectations and I found myself bursting out in shock laughs for most of the show. The Africa song is just one example of how the show toys with your expectation. The song starts with the woeful take of the plight of Uganda. No food, sun that will kill you, animals that will kill you etc. Then builds into an uplifting crescendo as the Nigerian village people get them all dancing and chanting a Hukuna-Matata-esque catch phrase. The laughs come when it’s translated. 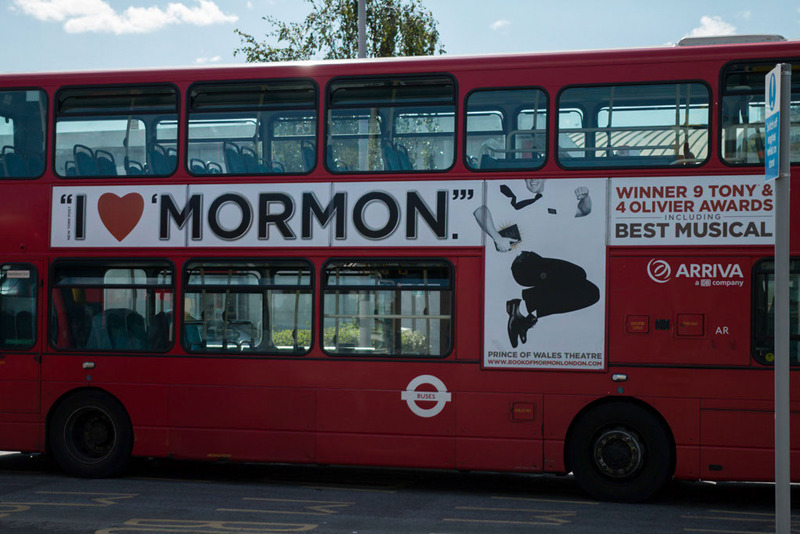 This show takes aim at almost everyone, Mormons (of course), racists, homophobics, pedophiles, religious fanatics, and Ugandans to name a few. But where writers Trey Parker, Robert Lopez and Matt Stone (Trey and Stone of South park fame) went so right was to poke fun at themselves, Americans. From the over happy “Good Mornings” to the jive style dance moves everything about the show was a send up of the over the top American culture that the world knows so well and it was hilarious. A final mention must go to the actor who played Elder Cunningham, Brian Sears, who managed to slip a one liner about the tube strike and got a roar of laughter from the embattled London crowd. Go and see it, you won’t be disappointed. This entry was posted in 27 while 27..... and tagged 27 List, Batttling the london tube strike, London review, The Book of Mormon, West End Musical by andieinspired. Bookmark the permalink.